We are pleased to announce this month’s keynote, Mr. Hugo Portugal. 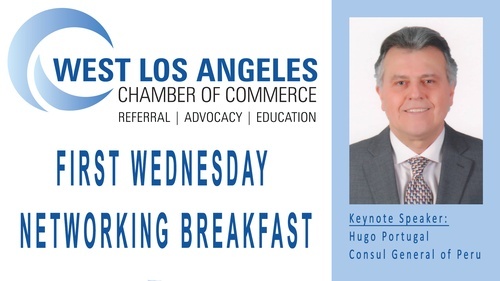 Mr. Portugal is currently Ambassador, Consul General of Peru in Los Angeles. A career diplomat, he entered the Peruvian foreign service in January of 1980.